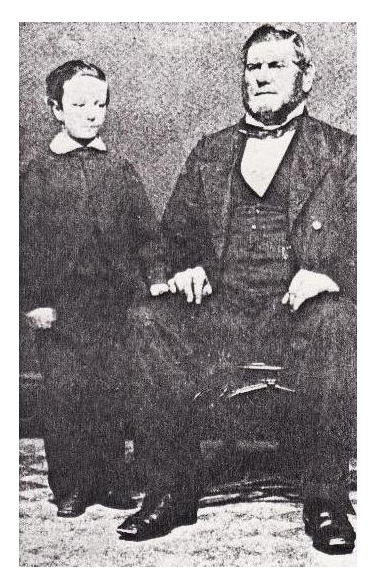 My great, great, great Grandfather, John (Walton) HANNELL, was born on the 27th August, 1815, in Parramatta. Like his elder brother, James, and his soon to be, younger brother, Jesse, (b. 15/11/1818), he was 'free-born'. They were the sons of Elizabeth HANNELL and James WALTON, both convicts. All three boys, it is believed, used the name WALTON during their early years, and were even Christened with that name, but changed to using the surname HANNELL, when they eventually moved to Newcastle, around 1830, where their mother had been transported, on 27th July, 1820. 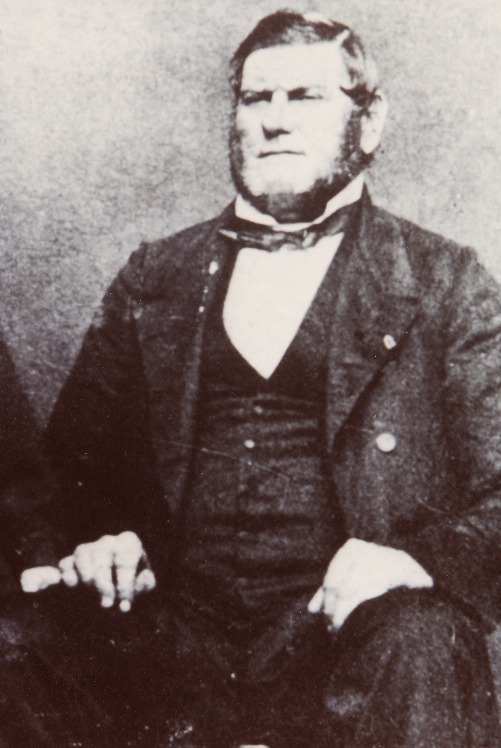 It was suggested by Mary Ann (WHITE) HANNELL's great, great granddaughter, Delcie Joy FOSTER, (née LUMSDEN), that they kept their father's name, 'WALTON', at least, until, around the time that John Walton became 'Scourger' for Parramatta, when it would have been 'inconvenient' to share the name. Not much more is heard of the family, until May, 1826, when John Butler HEWSON came on the scene. Hewson was a 'Ticket of Leave' man, and District Constable. As such, he was able to gain a 'special' approval for marriage to Elizabeth. They wed in the Christ Church, on the 28th of that month, although Elizabeth was not of 'good character'. As children, the boys were, initially, educated in Parramatta. According to records discovered by Gloria CARROLL, in her Thesis, "HISTORY OF THE HANNELL AND CARROLL FAMILIES", May, 1989, Mr. Henry WRENSFORD was the first teacher in the Newcastle township, and may very well have tutored the children at the Christ Church School, as it was known that some of their schooling was done there. John HEWSON became the foster-father of the four children, and was also, by then, appointed as Gaoler, in Newcastle. Once the boys arrived in Newcastle, possibly around 1830, they were presented with their younger (9-10yrs) step-sister, Mary Ann, who had been born on the 10th May, 1821, though the father was another convict, by the name of John WHITE. John Hannell, by the year, 1830, was at apprenticeship age and was training as a Shoemaker, with George FLINTOFF. He then left to move to Newcastle. He worked for a while, as a shoemaker, but soon joined the Police Force, as had James. Having served several years as a Policeman, John, at age 23 yrs, met a lovely young widow, by the name of Mary Ann (Wickers) NORTON. Mary was the daughter of convict parentage, though she was born 'at Sea', aboard the ship 'Canada', in 1817. Mary's mother, Ellen HALLOGAN, born c.1793, and step-father, *William WICKERS, raised Mary Ann. Now, we need to digress, a little. I have recently received contact, by chance, from Ken, a descendant of a family called,'WHICKER'. His information is that, the woman we know as Ellen HALLOGAN, was indeed tried and sentenced, from the Court in Dublin City, and transported from Corke, to Australia, aboard the ship, 'Canada', on 21/03/1817, arriving in Sydney on the 6th of August 1817 - together with a baby girl - born during the voyage! That baby was to be known as Mary Ann. The good, and new, part of this saga, is the fact that, a fellow named William Whicker was sentenced to Life in the Colony of New South Wales, at the Devon Assizes, in the Lent 1803 sitting. He was transported aboard the 'Coromandel', arriving in Sydney, on 7th May 1804. It seems he later returned to his wayward ways and was sent to Newcastle for a period, under the noted Commandant, Major MORRISET, though, for how long we do not know. Morriset left Newcastle, I believe, around 1805. Whicker did, however, eventually return to Sydney where, on 26/01/1821, he received a Conditional Pardon. He had previously married Ellen Hallogan at St. John's Church, Parramatta, on 27th March 1820, so had obviously known her for some time. His age was recorded as 49, while Ellen's was 27, on their Marriage Certificate. Both signed by making their mark (X). Someone had recorded his name as 'Vickers'. I don't know where that actually came from, but it was a mistake. So, from now on, I will refer to Ellen's husband as, William Wickers. I believe, as does Ken, that this is his ancestor named, William Wickers, from the west-coast area of England, maybe around Devon. Interestingly, Ken's surname is Whicker - another variation, but definitely, the same family. I believe he was befriended by Ellen Hallogan, and became foster-father/step-father to Mary Ann, hence she often used his name. There could be no other reasonable assumption, in light of their marriage, with no birth-connection between the families. In 1833, the now 16, or 17, years old, Mary, married ex-convict Isaac NORTON, from the Wallis Plains area of West Maitland, and they had a daughter, Elizabeth Ellen, born on 24th February, 1836. Isaac died suddenly only a month later, and was buried in March. 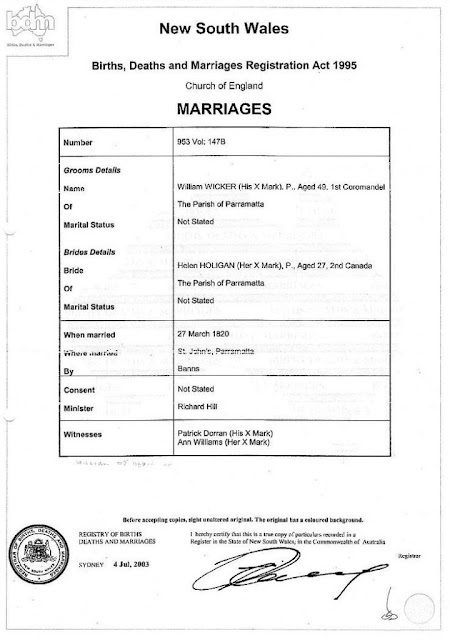 John HANNELL married Mary Ann (Wickers) Norton, on the 14th July, 1838, at the Christ Church, a ceremony conducted by Rev. C.P.N. WILTON. She was 21 years of age, and he just 23 yrs. John and Mary had a baby, Jane Elizabeth, on the 16th April, 1839. The now, family of four, lived for a while in Pacific St, Newcastle. In 1841, John decided to follow his brother James, into the Hotel business. He applied for the Licence of the 'Wheat Sheaf Inn' at Hexham, north of Newcastle, on the Hunter River. This position also carried the position of Post Master, at Hexham. He was to maintain this Licence for many years. John moved his family to Hexham and soon showed his rather remarkable entrepreneurial abilities. It wasn't long before he became a most prominent member of the colony of Newcastle. 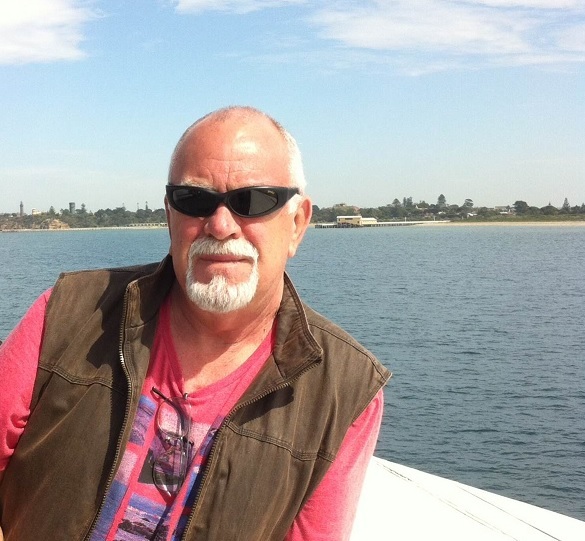 Having such close proximity to the Hunter River, and, as such, a direct access to the harbour at Newcastle, John became an invaluable 'River Pilot' for shipping Masters who were unfamiliar with the River. Jumping ahead a little to emphasize this point, it must be said that in 1853, J. B. GLEADOW, Master, 'Victoria Packet', wrote that; "John Hannell, pilot, took charge of the barque, 'Victoria Packet', 170 tons, from Raymond Terrace, and piloted her down from thence to Newcastle, during which time he conducted the ship to my satisfaction, and I can strongly recommend him to any masters of ships that require his services." Not only did John Hannell direct the Post Office, pilot the odd ship, tender to the requirements of a thirsty village, but he was a sportsman of repute. 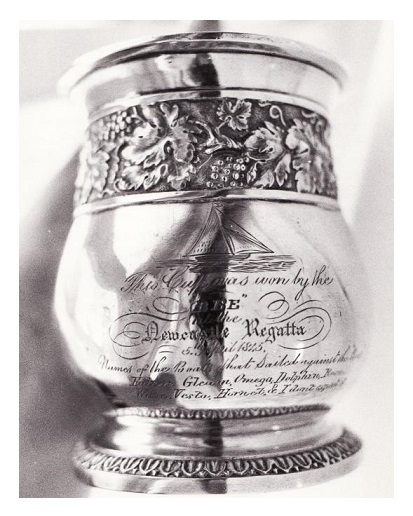 He often won sailing races on the river, including the 1845 Regatta Trophy, (pictured), sailing his own boat, "Bee", but was also prominent in the formation of Horse Racing in the area. He built a race course in front of the Hotel! He also played, and sponsored, cricket in the area. Tragedy struck in 1853, when a fire destroyed the Wheat Sheaf Inn, and it had to be replaced. It was at the new hotel in Hexham, that the infamous 3d (threepence) I.O.U. became a talking point. It was common practice in those days, for businesses to use 'cardboard money', or tokens. John Hannell was a very clever man. By issuing change in the form of an I.O.U., written of cardboard, he ensured that the people he gave them to, had to use them at his establishment, because they were no good at the other pub in Hexham! John also became responsible for assisting travellers. Coaches stopped at his Hexham House, on the way North, and South. His house, which was erected around 1856, was situated just west of the Great Northern rail line, and close enough to operate the future rail gates, which were in place until around the 1960's, when the new highway was built from Maitland to Newcastle. The land often flooded, somewhat, during exceptional rainfall, so John organised the digging of a dyke, accessing egress or drainage to the River. This dyke is still there, today, but is often referred to as a creek, when, in fact, it was man-made! Elizabeth, his step-daughter, had married Joseph TURTON on 27th August, 1855, (John Hannell's birthday), and lived in a nearby house, built on John's property. The first Grandson, William John TURTON, arrived in 1856. By 1862, crossing the Hunter River became a necessity, and a punt service was installed. As Hexham was such a busy inland shipping point for river traffic, the addition of this punt was responsible for a tremendous influx of travellers to the area. One such traveller, was Martin James CARROLL. He succeeded in winning the heart of Jane Elizabeth HANNELL, and they were married on 28th February, 1866. Martin was an Irishman, born in Loughrea, County Galway, around 1833. He was a Wine traveller. They also made their home in Hexham, but were lucky to be able to live in the Hexham House. Martin and Jane had many children, but were hit by tragedy in 1889, when two of their sons were hit by a train and killed. 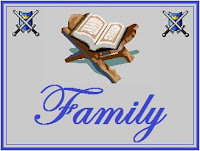 This prompted John to build a Family Vault on his land near the river. The Vault is still in existence to this day, and is under Heritage Listing by the National Trust... letter to Douglas CARROLL from M. J. Green, Administrator, 10th August, 1989. John Hannell died on the 7th May, 1891, after a brief illness and, following a short interment at Tarro, was exhumed and placed in the now completed Family Vault, at his beloved Hexham property. The National Trust of Australia, classified this monument/burial ground, and included it on its Register, in 1989. His last Will and Testament showed an estate sworn at £13,856.